Comtech offers a wide variety of options for your Communication needs. Whether you're looking for someone to install or relocate your system, or simply a vendor to service your existing system call Comtech Business Systems at (702) 221-9221. 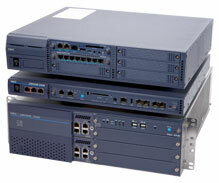 Wired/Wireless/VOIP Voice Servers with multi-office connectivity. Digital Voice Mail and Automated Attendants with outbound notification and live record. Automatic Call Distribution for Call Center applications. All work tested and electronically certified. VOIP Networking linking multiple Sites.